At 2 Spain transfers we provide hassle free low cost transfers in fully licensed & insured taxis and minibuses, why risk booking with any one else, you are important to us that is why we are cautious in selecting our suppliers, they must have a strong track record on safe driving, punctuality and of course quality service. Pre-book your Barcelona airport transfer and pay your driver after each journey, all our transfers are private so you do not have to share with any one else. 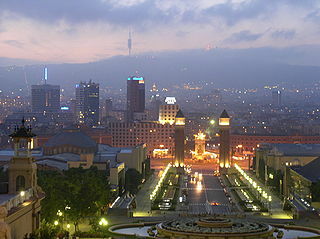 Barcelona is Spain’s second largest city, in population. This innovative city is located on the northeast coast of the peninsula along the Mediterranean Sea. Barcelona is the capital of the Catalonian region, as well as the province of Barcelona. Although Spanish is the official language in Spain, in the Catalonian region, Catalan is also recognized as the co-official language. Barcelona is one of the most visited European cities. The “Gothic Quarter” is the centre of the old city of Barcelona. Many of the buildings date from medieval times, some from as far back as the Roman settlement of Barcelona. Catalan modernist architecture developed between 1885 and 1950 and left an important legacy in Barcelona. Several of these buildings are World Heritage Sites. Especially remarkable is the work of architect Antoni Gaudí, which can be seen throughout the city. His best-known work is the immense but still unfinished church of the Sacred Family, which has been under construction since 1882, and is still financed by private donations. As of 2007, completion is planned for 2026. Pre-book your barcelona airport taxi transfer and simply pay your assigned driver after each journey, all our barcelona airport transfers are private so you do not have to share with anyone else, low cost prices with great quality service, what more can you ask for.